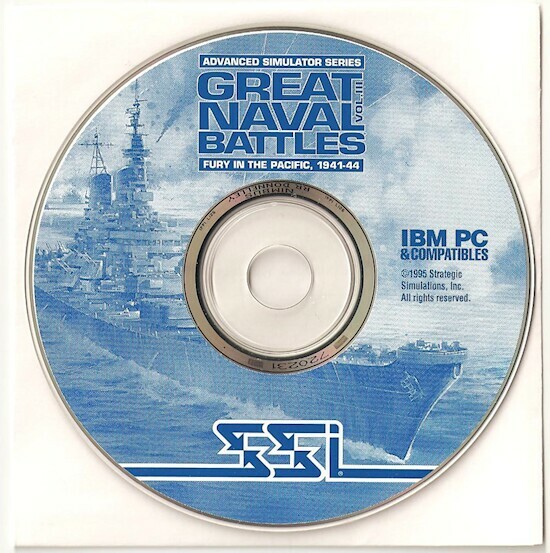 Great Naval Battles 3, subtitled Fury in the Pacific, is a traditional battleship game set in the World War II Pacific theatre. The game encompasses the entire Pacific, making the scale of this game huge. There is a lot of ground…or water as it happens…to cover. 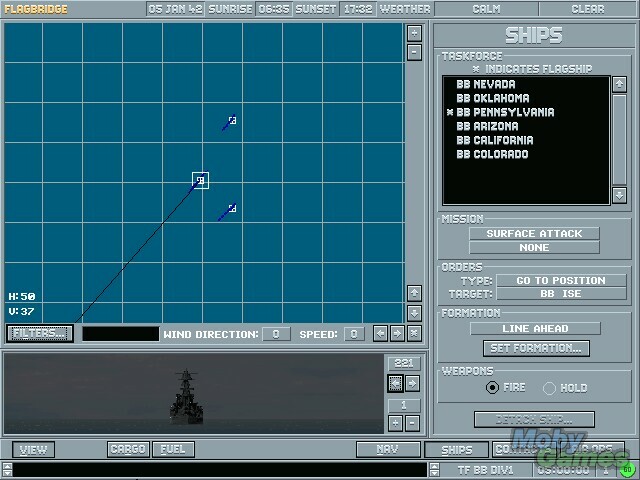 The game is somewhat reminiscent of the old board game, Battleship, only it features more detail and complex strategies. The game play itself is entertaining and challenging, with the a rather clever AI for the time. Nearly every major ship from the great Pacific battles is represented, from the Japanese fleets to the major American ships and aircraft. The payloads each ship and airplane are mostly historically accurate, which is very interesting. Logic is the key to success in this game as the AI will attempt to thwart you at all times. The best way to win the major battles is to make certain that the battle strategy is sound and well-balanced. Sometimes, the gamer will get a break and will be able to swarm a large battle cruiser with smaller ships successfully. Likewise, a large cruiser can sometimes run right over a fleet of smaller gnats without incurring much damage. 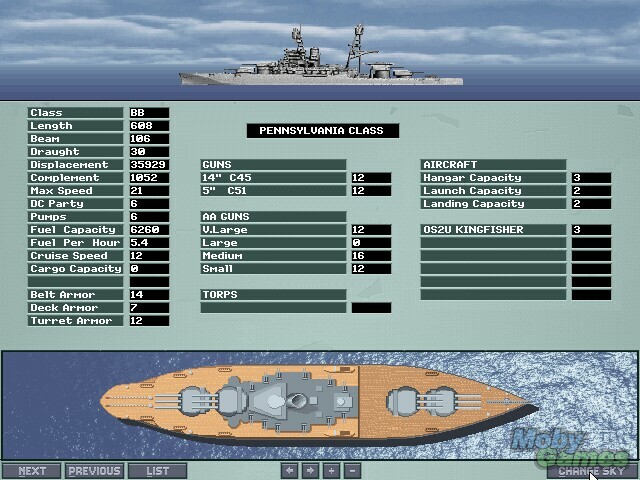 However, most of the time, an attack of balanced firepower, speed, defence and air support is required for a victory. 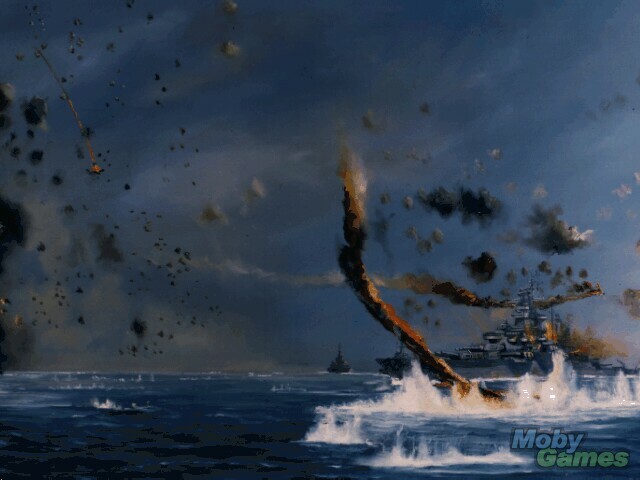 In short, Great Naval Battles 3 is a good sequel to the first World War II battle games. It presents some historical and technological accuracy that make it interesting for war buffs. Its random battle generator makes it playable again and again, and a scenario editor creates even more possibilities.